In a world connected by Facebook, Twitter and YouTube, Miley Cyrus stars as a teen girl navigating her way through the peer pressures of high school romance and friendship, while dodging her protective mother (Demi Moore), in the fresh coming-of-age comedy LOL. The film also stars Ashley Greene, Douglas Booth, Adam Sevani, Thomas Jane, and Jay Hernandez and is based on the 2008 French film LOL. 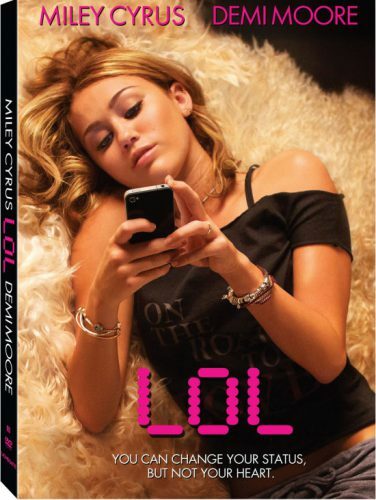 LOL will be available on Blu-ray Disc, DVD, Digital Download and On Demand on July 31, 2012. The Blu-ray Disc ($24.99) and DVD ($19.98) release includes special bonus materials such as behind-the-scenes features and audio commentary with the director and cast.